After Bach concerto in D for 2 violons for clarinet quartet, another transcription of mine has been released by Klarthe. This time I arranged a Franz Schubert’s piece for clarinet trio (two Bb clarinets and a bass clarinet): the String Trio in B flat major D.471. It was written in September 1816. 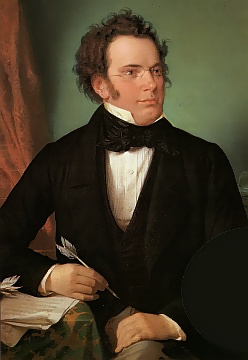 Franz Schubert was 19 then, and was strongly influenced by the Viennese masters. Like many of Schubert’s instrumental works, this trio is an incomplete composition, comprising only a first movement and some thirty-nine bars of a second one. I decided to publish only the first one, which is nevertheless a much-loved piece of music. You can purchase the PDF files or the paper sheet music on Klarthe website.